Tattoo removal techniques are being practiced since the invention of tattoos. Laser Tattoo Removal Treatmentin Jaipur is a non-invasive method that is safe and effective to a great extent at Renova Skin Clinic. It is possible to remove tattoo of any size, design, and color with FDA approved lasers like Q-switch, ND YAG laser, and HELIOS 3. Laser tattoo removal technique is a savior to remove permanent tattoos without pain. Even if you are thinking for a cover-up a laser tattoo removal aids to lighten the existing ink. If you want to get rid of your tattoo consult an experienced dermatologist Dr Puneet Goyal today. Our Renova Skin Clinic is well-equipped with all kind of facilities and treatments. You can phone into our Tattoo Removal Clinic in Jaipur or request for an appointment through the website. How Permanent Tattoo Removal technique Works ? Laser light works on the intensity level. Different color inks of the tattoo have specific light absorption spectra. The high-intensity laser beam focused on the tattooed area breakdown the pigment colors. Black is the easiest to treat while yellow and green colors may leave light marks behind. Why Laser technique is most effective for any Tattoo Removal ? From the various remedies available, laser technique comes out to be the most effective and safest one. The treatment is simple and easy. 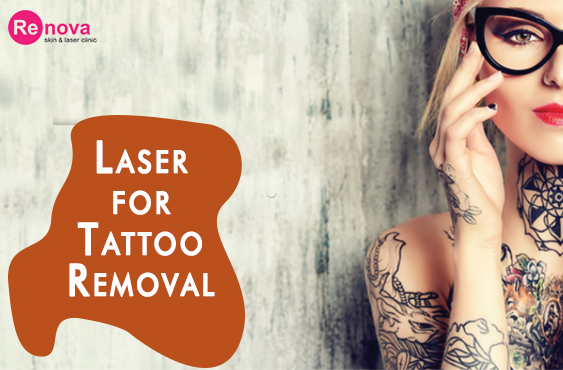 Although, laser cannot ensure the proper removal, it can make tattoo disappear to an extent. This technique is recognized around the world, so it can be a good choice. You will have to go through couple of sessions depending upon the size and intensity of tattoo. The other factors affecting are age, size, the color of the tattoo, the color of skin, profundity of tattoo etc. Which method is right for my tattoo removal ? More commonly Dermabrasion is used to remove tattoo. The tattoo remocal specialist at the Renova Clinic uses local anesthesia to numb the skin and then use a circular brush to get rid of the tattoo. The procedure is not as good as the laser therapy still the results are good. The skin also looks rough for few days after the procedure. Does laser tattoo Removal causes scar ? No, laser tattoo removals do not cause scarring. It may happen only in the case if you are prone to acne or scars. Laser tattoo removal is the safest method to remove the scars. Only the selected body part is treated which may be prone for infection. Rest in common, the individuals may face problems like redness, swelling, itching and darkening of skin. These are temporary and will subside after a few days. How much will the removal cost ? The cost of Laser Tattoo removal will depend on the type of the tattoo that include Amateur and Professional Tattoos. The first type of the tattoo is normally done with the black ink and costs depending on the skin type and size of the tattoo. The latter will be made from the colorful inks and may cost accordingly. Sometime, the professional tattoos are not easy to remove as they are deeply penetrated in the skin. What to expect after laser treatment for Tattoo ? At times, there might be swelling, redness, itching and flaky skin. For tattoo removal, it is largely abrasion hence your skin will take some time to recover. The Laser will activate the skin cells under the affected area to rejuvenate that will speed up the recovery. Yes, the results will be permanent. The Laser is absorbed by the tattoo ink and melanin under the skin. It helps to break the color into smaller particles which is further removed by natural filtering system of the body. a)	The body part in which it is made. b)	The size of the tattoo and the inks used. c)	Age of the tattoo, that is, how old it is. Yes, children below 13 are not allowed to get a tattoo done or get it removed. Their skin is comparatively sensitive to bear the heat from the high induced Laser. Who are the best candidates for laser tattoo Removal ? Following candidates are said to be the best for the Laser Tattoo Removal:"
a)	Individuals with the fair skin. b)	Individuals that have tattooed made with the black ink. It is convenient to remove while the colored one’s take a longer time. c)	Individuals that have stronger immune system. d)	Individuals who follow a healthy diet and do not smoke. Depending on the size, color and the skin type of the tattoo it will require a minimum of 6 to 8 sessions. There is a minimum gap of 6-8 weeks in between two sessions. The Renova Skin Clinic has the best skin tattoo removal specilaists who will find out the maximum about your skin. Asking details about your skin type, immunity and lifestyle, he will help you establish the time and type of the Laser treatment. a)	Should stay away from long hours Sun exposure about 3 weeks prior to the treatment. b)	Remove hair from the area to be treated. c)	Apply the topical anesthesia about 90 minutes before you take up the treatment. d)	Do not use chemicals on your skin like lotions, perfumes, etc. f)	Apply ice pack if you notice any redness, itching or patchy skin. At the Renova Skin Clinic, the doctors are cautious about your health and recommend the best possible ways to take care of your tattoos. Three times Laser taken on repeated visits, Lots of Improvement found. Hope will get results in coming visits. Satisfied till now. Sessions experience were amazing! Good suggestions given by doctor. I stay in Sikar n during my visit to Jaipur I got my Tattoo removal from Renova Skin Clinic. 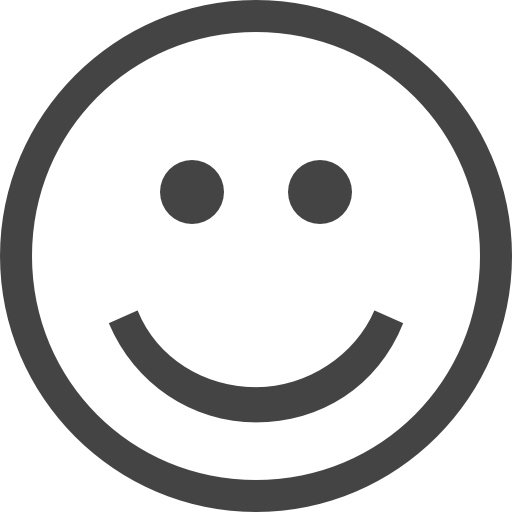 I was told by dr Puneet sir that within 3-5 Sessions and yesI got results and I’m happy . Consulted by Dr. Puneet Goyal for tattoo removal treatment and got amazing results in 1 month. Pleasing ambience. Very supporting and cordial staff.